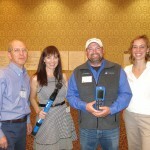 Lake managers, professionals and lakeside residents converged on beautiful Walla Walla for the 28th annual WALPA conference at the end of October. In total, more than 90 members attended to sharpen their lake management knowledge and network with other lake-minded people. This year’s theme of Looking Back to Prepare for the Future provided a great framework for evaluating our organization’s progress and setting us up for a successful future. It’s amazing how an environmental problem brings together people with a wide range of backgrounds and viewpoints. 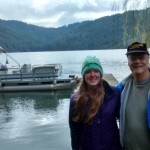 Here we examine how interactions between scientists and landowners evolved into a reciprocal learning/sharing experience that greatly enriched the research we undertook at Fernan Lake. We believe that this model would transfer readily to other lakes or ecosystems and could start meaningful discussions to help all stakeholders understand the benefits of welcoming scientists into their midst. Most of the weather patterns arriving in the Pacific Northwest originate in Asia, and along with these air masses come many pollutants. While the actual concentrations are low, these near-detection limit amounts pose significant contributions to alpine lakes, especially given biomagnification in lake trout. We are investigating two sets of pollutants, chlorinated hydrocarbons and mercury. 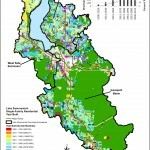 How has Lake Sammamish water quality responded to land use change? As the sixth largest lake in Washington and the second largest in King County, Lake Sammamish has been designated a water of statewide significance and is an important and valuable natural resource. It is one of the major recreational lakes in King County, and in 2014 was selected by the United States Fish and Wildlife Service for one of eight national urban wildlife refuge programs.